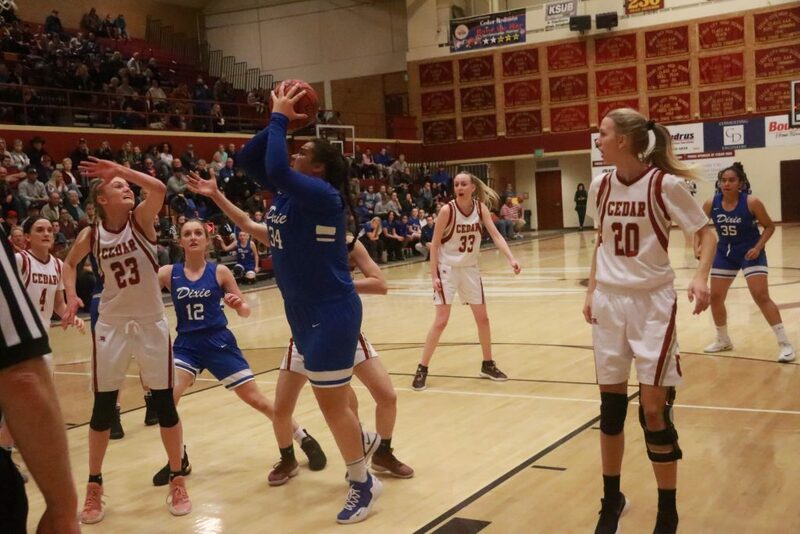 ST. GEORGE — Powerhouse Cedar High improved its record to 7-0 in Region 9, 16-0 overall, with an easy win Tuesday against visiting Dixie. 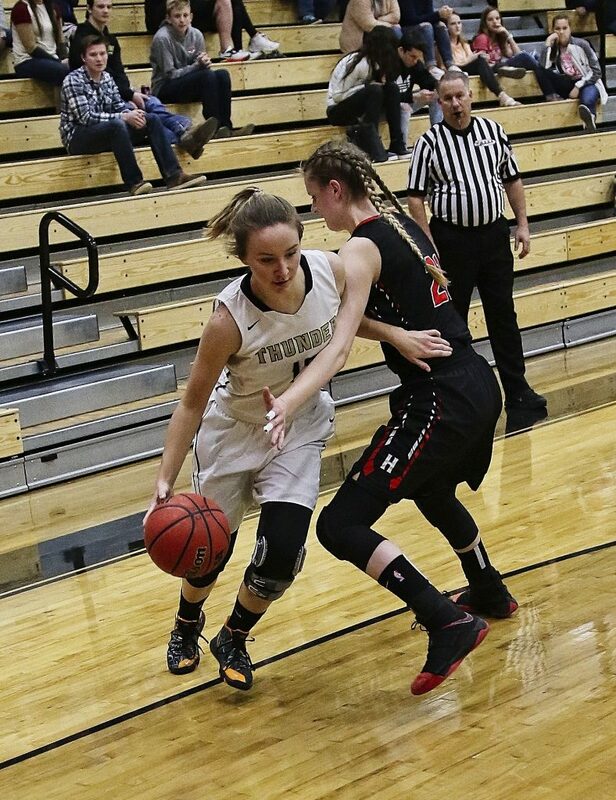 Meanwhile, Snow Canyon emerged as the best of the rest, taking over sole possession of second place with a win at Canyon View. 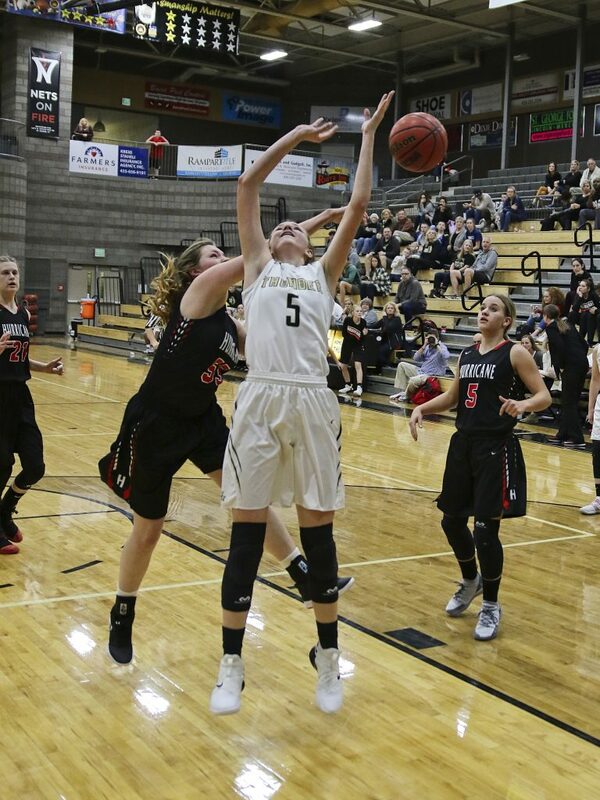 And in the only region game played in St. George, Desert Hills held off Hurricane for a close win. 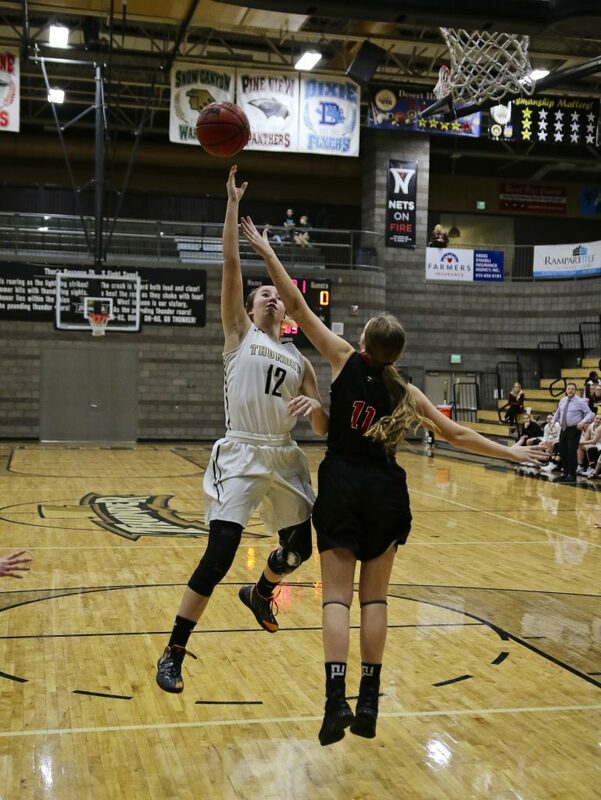 In a game that came down to the wire, the Desert Hills Thunder edged the visiting Hurricane Tigers, improving to 4-3 in region play. 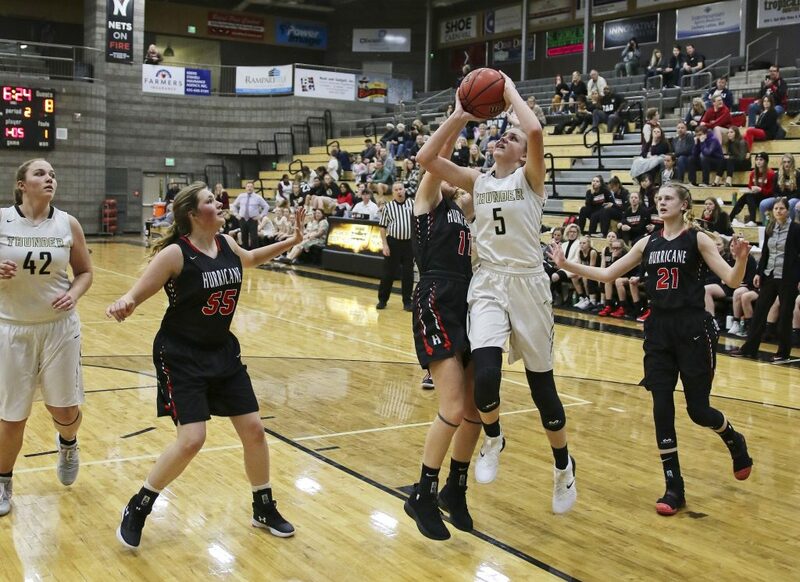 After taking a 17-6 lead at the end of the opening quarter, it appeared that Desert Hills would cruise to an easy victory. Instead, the Tigers battled back in the second half after trailing by 10 at the break. 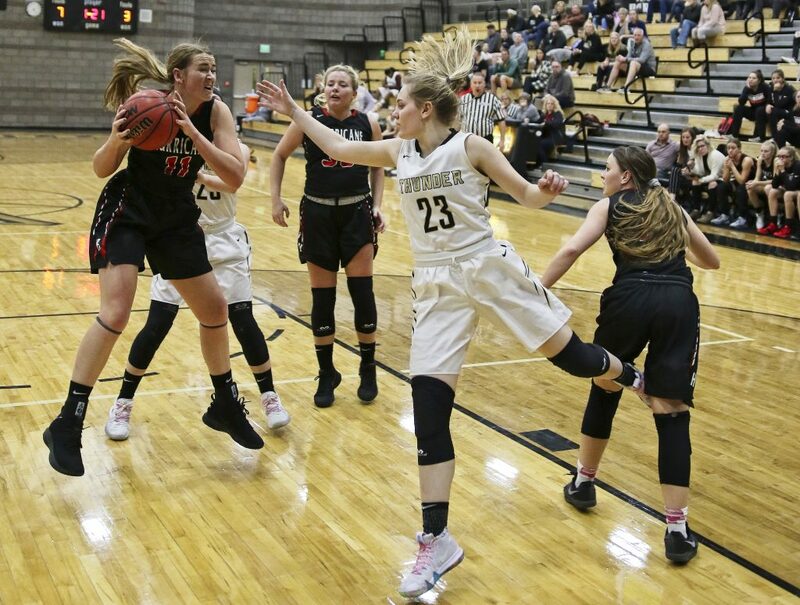 In the third and fourth quarters, Hurricane outscored the Thunder 12-9 and 15-10, respectively, making the game close in the final moments before Desert Hills held on for the win. 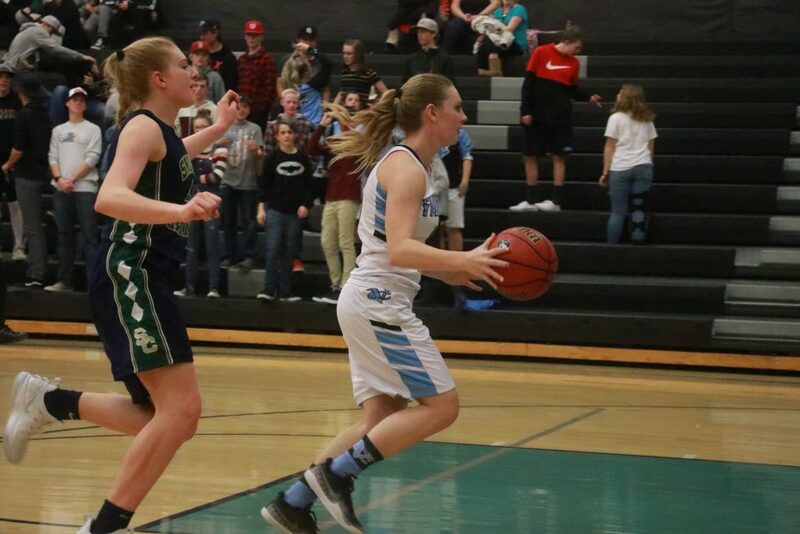 Julia Jacobsen led the way for the Thunder, scoring 15 points. Katelyn Philips chipped in 8. The Tigers dropped to 2-5 in region play, remaining in fifth place. 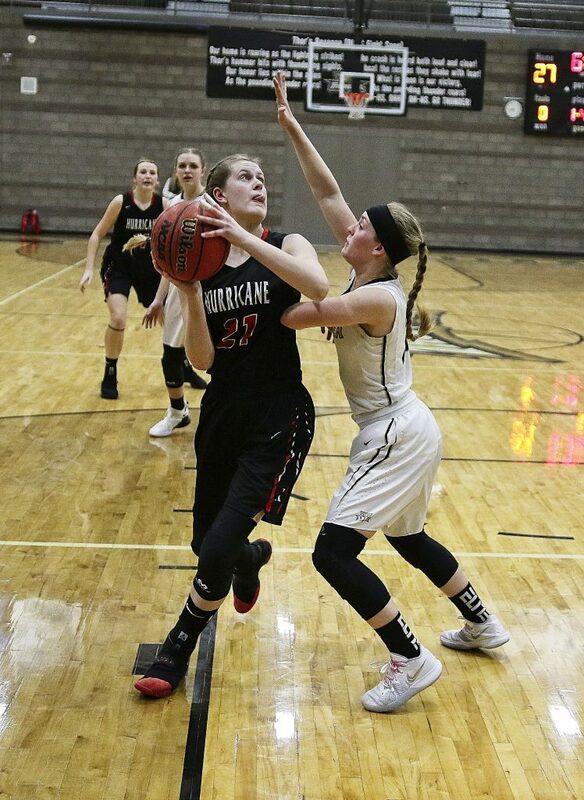 McKenzie Robinson scored 12 points for Hurricane, with Hailey Homer adding 11. 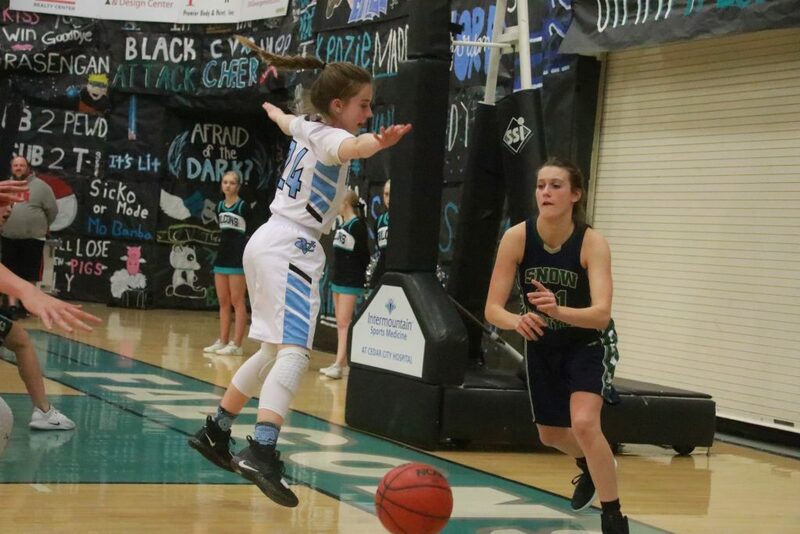 Hurricane hosts Canyon View Tuesday at 7 p.m.
Desert Hills will travel to Cedar City Tuesday to face the undefeated Lady Reds. The game tips off at 7 p.m. 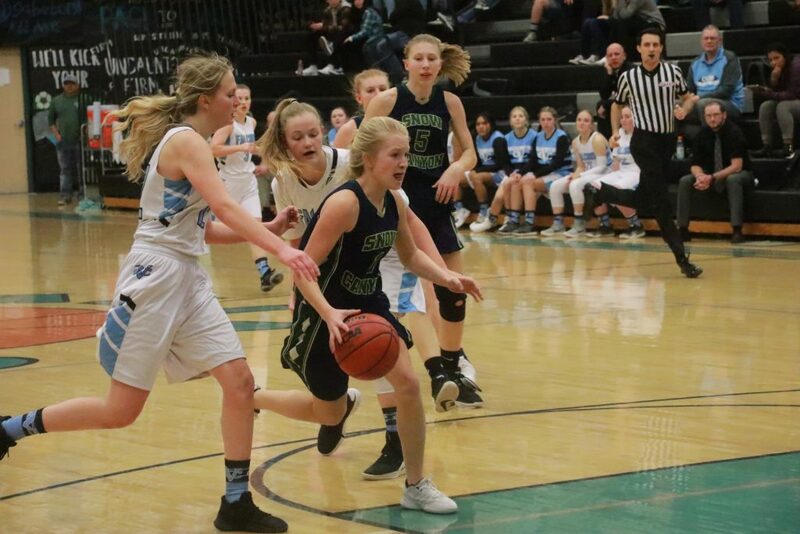 The Snow Canyon Lady Warriors built a double-digit lead in the third quarter, then held off a late rally to defeat the Lady Falcons at Canyon View, 48-40. 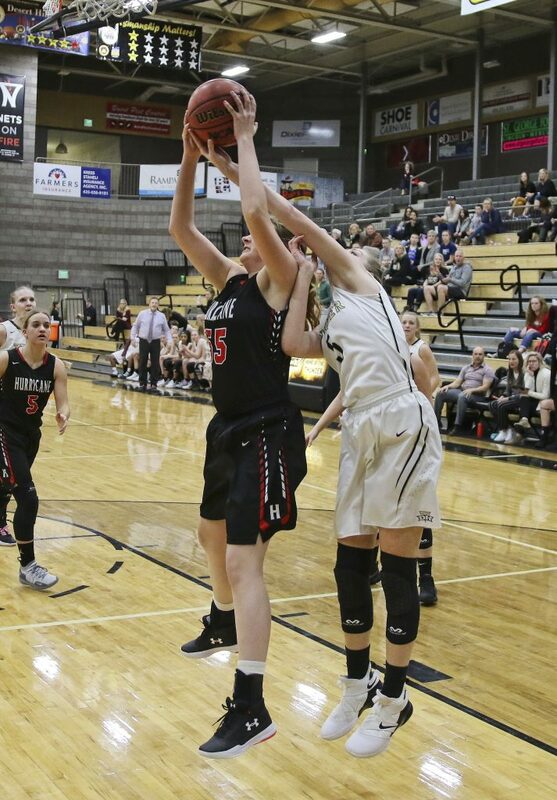 “She was huge for us tonight, with 10 points,” Rarick said of Leavitt, who was playing her first game in about a month. The two teams had battled evenly in during the first quarter, which ended in a 10-10 tie. However, the Warriors outscored the Falcons 14-8 in the second period to lead by six at halftime. 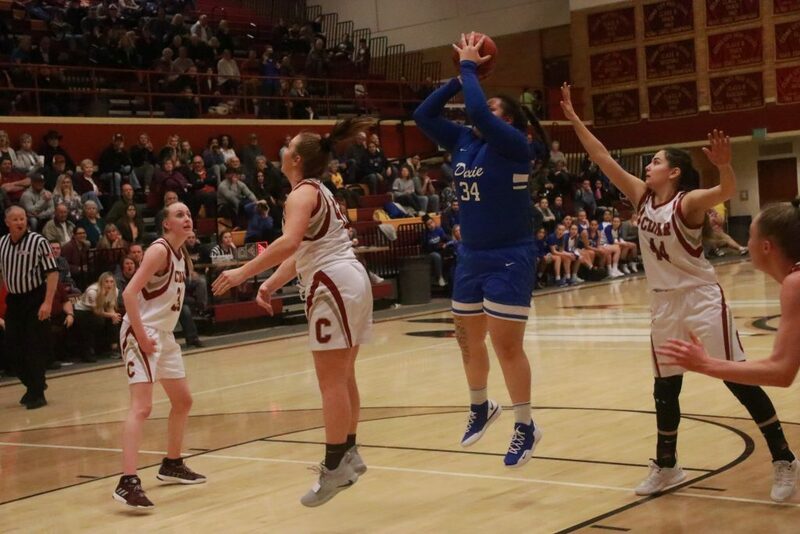 Canyon View shot more than twice as many free throws as Snow Canyon did, but converted just 53 percent of its attempts (18-of-34). 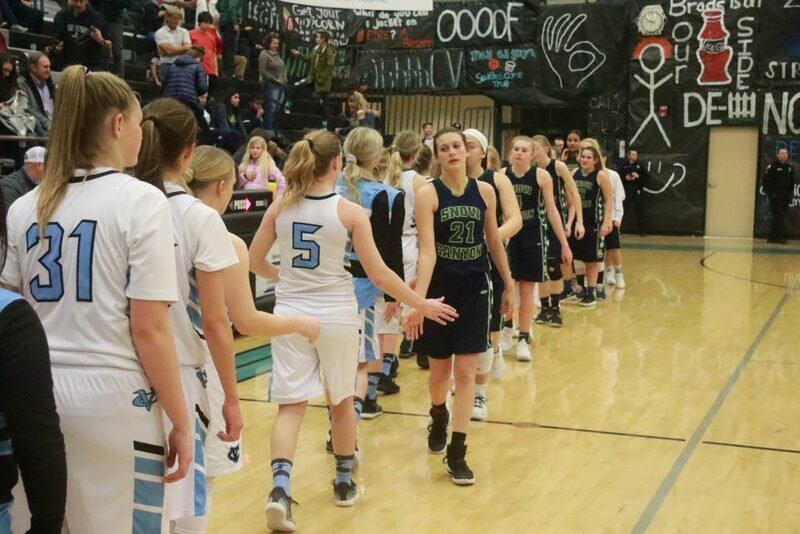 Snow Canyon, meanwhile, made 11-of-15 from the free throw line. 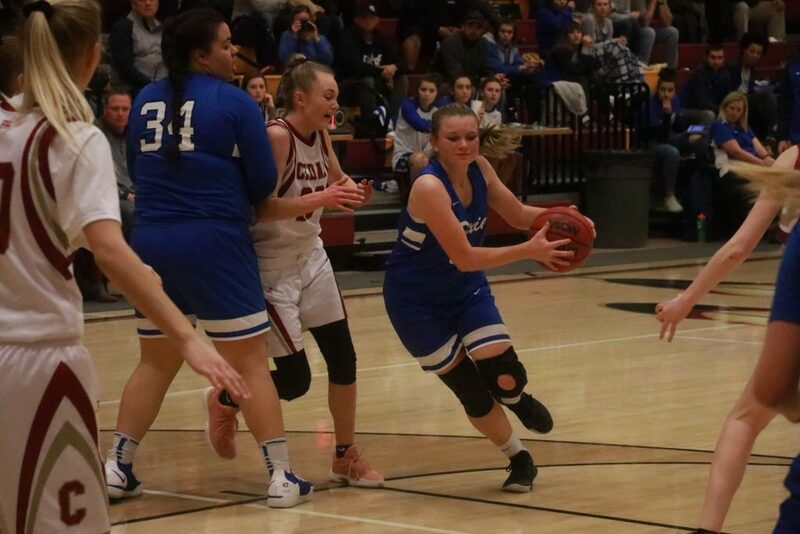 “That was the difference,” said Canyon View head coach Jaycee Barnhurst, noting that the Falcons missed eight of their 18 free throws in the fourth quarter, and ended up losing by eight. 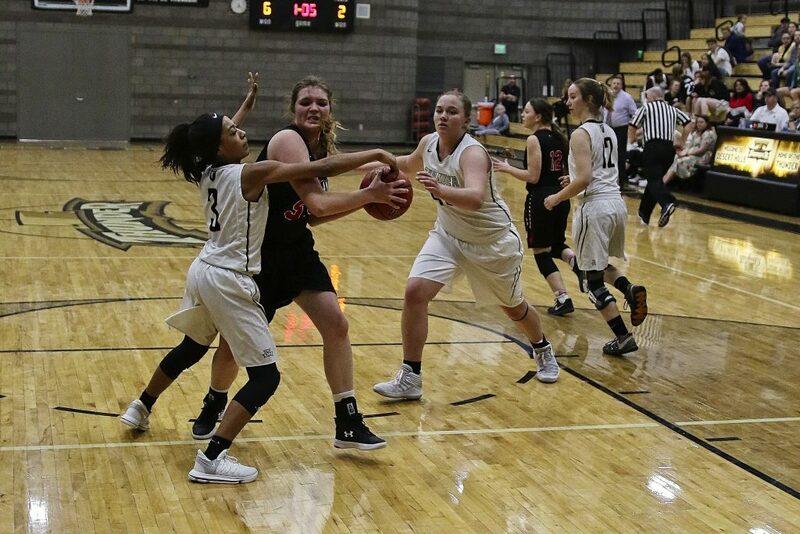 Canyon View mounted a late rally in the final minutes that ultimately fell short. 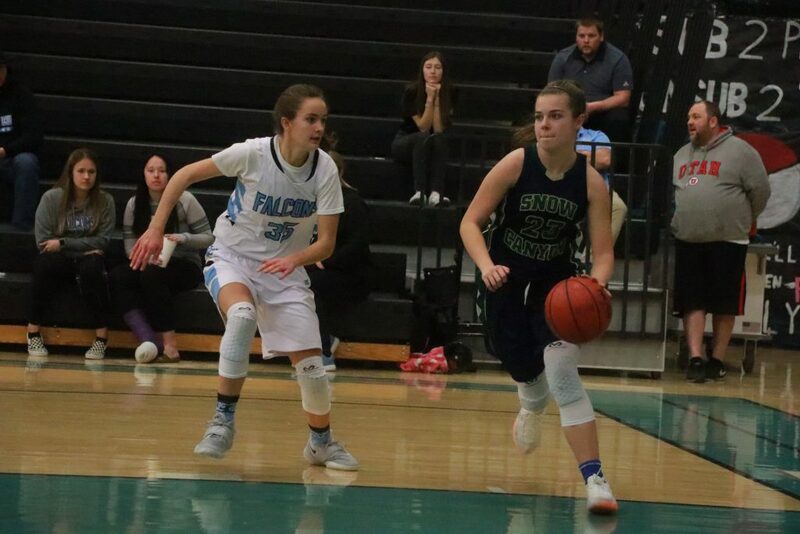 Snow Canyon was led by guard Tylei Jensen’s 15 points. Leavitt added 10 and Olivia Harris contributed 8. 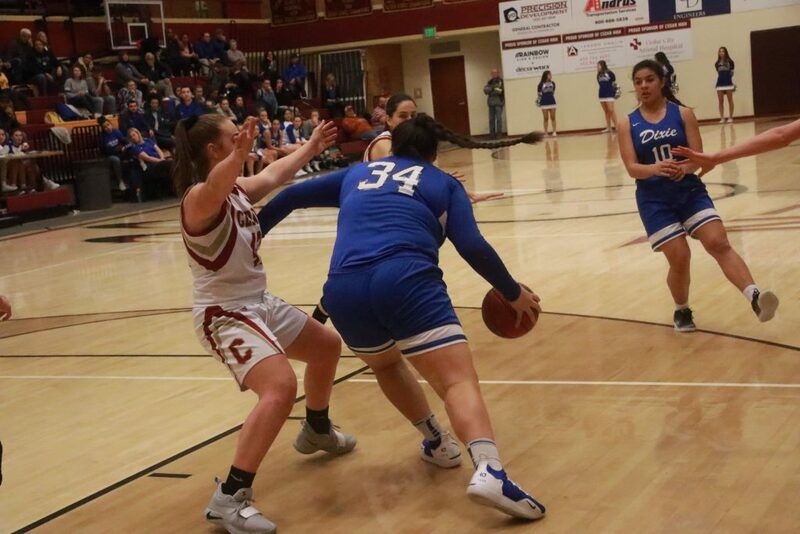 Jensen fouled out of the game with a couple minutes to play, joining teammate Braillen Halalilo, who’d picked up her fifth personal foul a few minutes earlier. 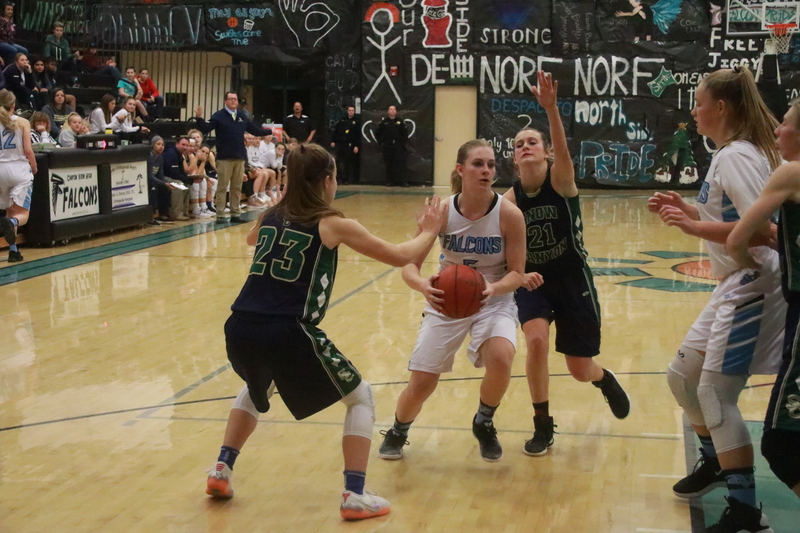 Canyon View was led by Addison Newman’s 11 points, while Ashlyn Banks and Jordan Nielson each contributed 9 points. 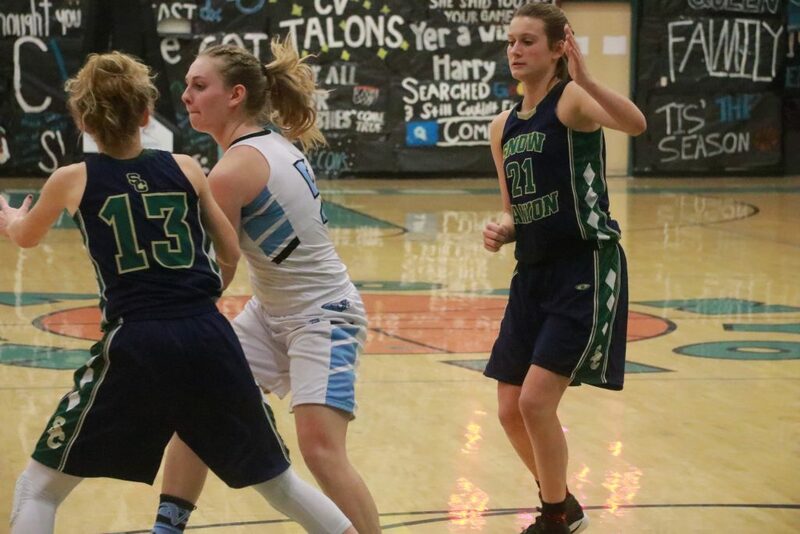 Snow Canyon improved to 5-2 in region play, good enough for sole possession of second place. 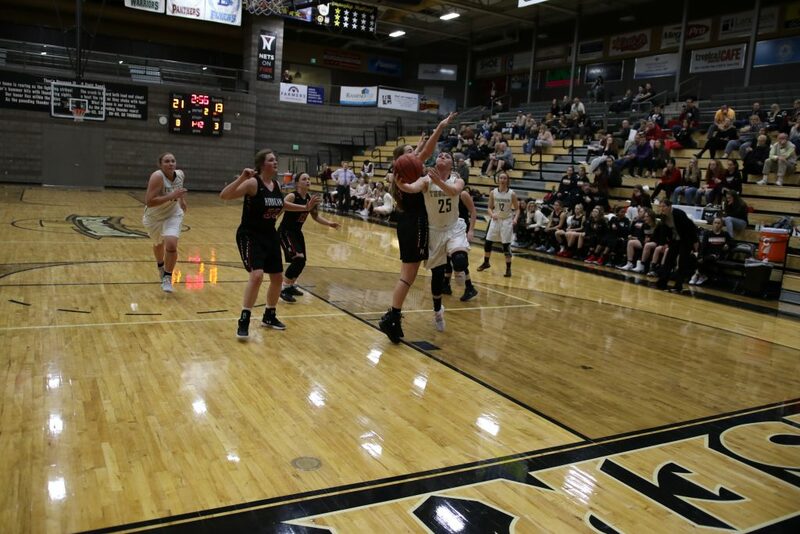 The Lady Warriors play at home Tuesday against Pine View. 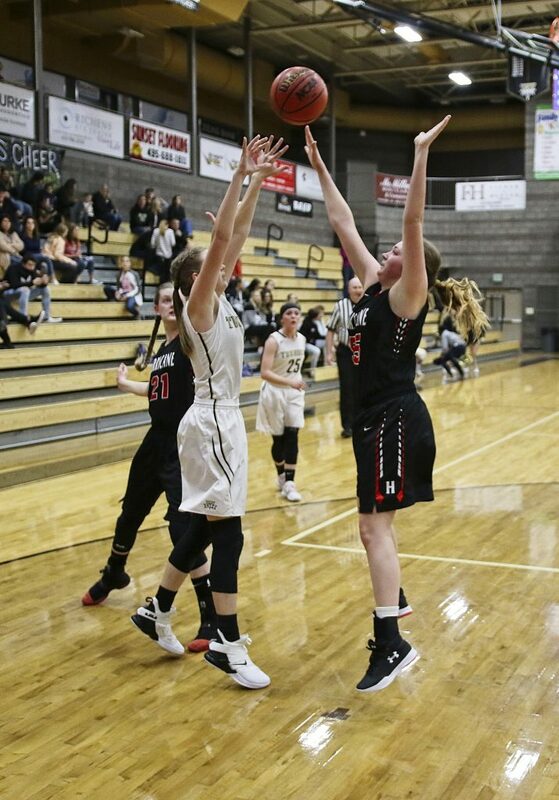 Meanwhile, Canyon View dropped to 1-6 in Region 9 and will travel to Hurricane for their next game, Tuesday at 7 p.m.
At Cedar, the Lady Reds trailed 6-5 at almost the midway point of the first quarter, but they soon began to pull away from Dixie and eventually built a 38-20 halftime lead. 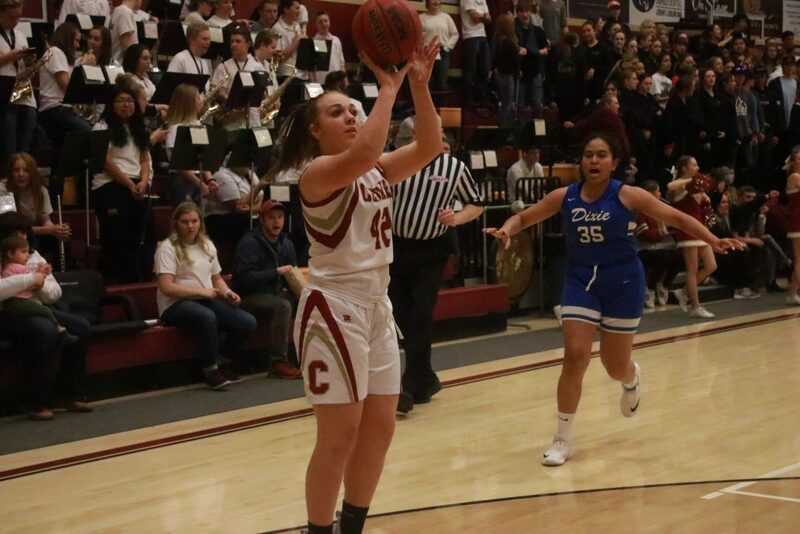 Guard Mayci Torgerson led the way for Cedar with 24 points, 12 in each half. Fellow guards Japrix Weaver and Logann Laws each contributed 13 points, while post player Denim Henkel added 9. 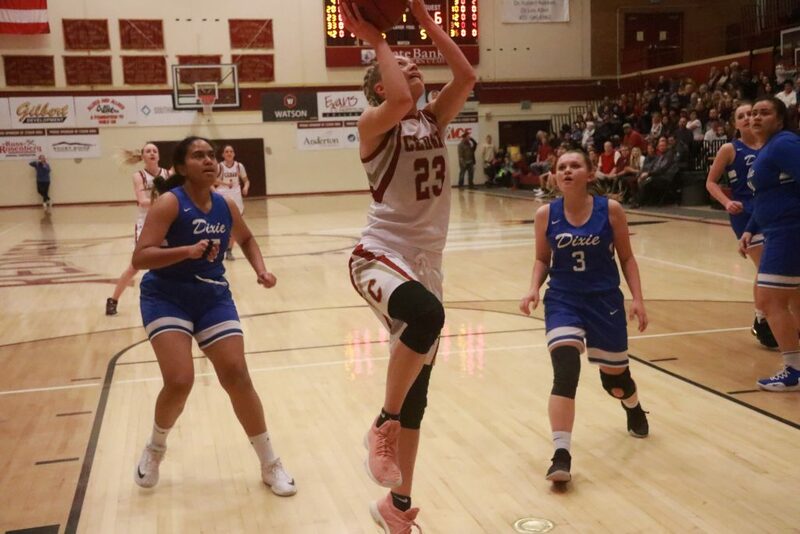 Sina Tapasa was Dixie’s top scorer with 15 points, while Sina Schwalger added 8. 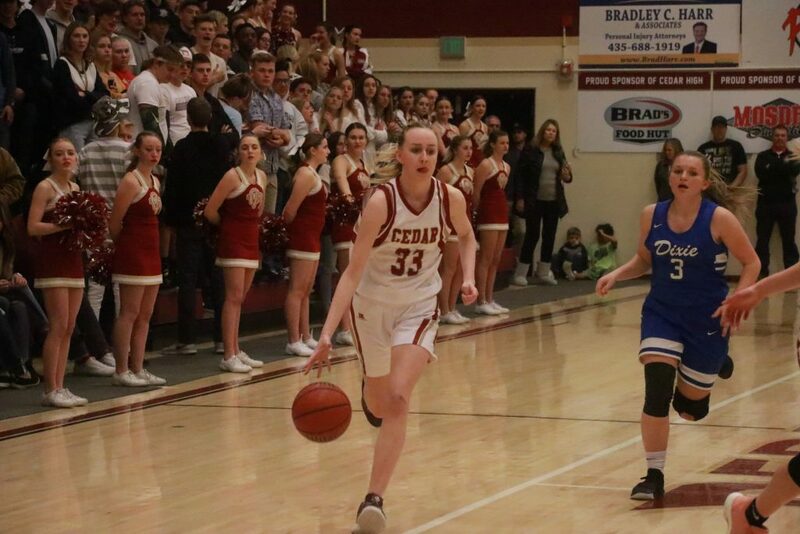 Cedar, which improved to 7-0 in Region 9 play, hosts Desert Hills on Tuesday at 7 p.m., marking the Lady Reds’ third straight game at home. 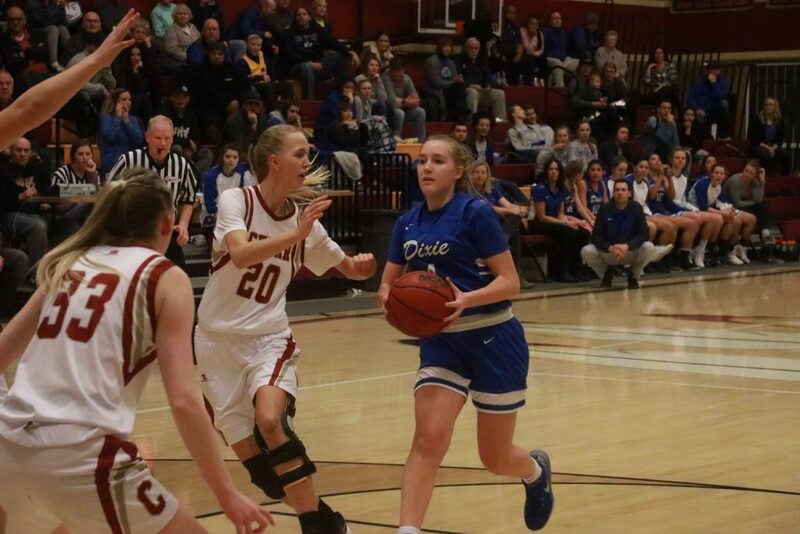 Dixie, which dropped to 4-3, has a bye on Tuesday but will play at home next Thursday, Jan. 31 against Snow Canyon, also at 7 p.m.